We Rent Class A & B CDL Trucks & Buses for the Texas Department of Public Safety CDL Road Tests! 99% PASS THEIR CDL ROAD TEST ON THE VERY FIRST TRY!!! Class A Automatic Truck Rentals - $650*! Training Packages give you the information you need to succeed on the first try! Class A Manual Truck Rentals - $650**! ***WE ARE THE ONLY RENTAL COMPANY IN TEXAS THAT RENTS 6-SPEED MANUALS!!! 3) Basic instructions on how to operate the truck. 4) Valuable information needed to pass the road test. 5) Practice driving the with our instructor before your road test. Class B Automatic & Standard Truck Rentals - $650***! Class B Passenger Bus Rental & School Bus Rental - $650***! Need a road test NOW & can't wait! As you are probably aware the TXDPS all over Texas is scheduling an average of 6 to 8 weeks out! For an additional fee we can get you a TXDPS full test within 1 week or 10 days! In most cases we can get up to 2 road tests within a week should you pass the Pre-Tip but fail the backing or road test. Our clients who rent our class A CDL truck & trailer average 95% - 100% scores on the road test. 99% who rent the truck have never driven a semi truck & trailer in their life! Need a CDL road test NOW & can't wait? Rental TX road test to do your Pre-Trip, Backing & the road test within one (1) week or ten (10) days in most cases. CDL Rental TX your CDL Connection can help to get a road test ASAP***! When you are limited to 90 days to finish the 4 written tests, pre-trip test, backing tests & the road test, time is of the essence. Don't let your written tests expire before you can complete your road test; come take your test with us. We can get you into do a road test within one (1) week to ten (10) days, in most cases, for an addition fee. We make it easy to pass the written & road tests. . . 100% Pass Rate, both Men & Women! 99% always pass the first time they attempt the road test with the TXDPS examiner! 99% who pass the 1ST time have never driven a tractor & trailer before in their life! 99% who pass the 1ST time have never backed a tractor & trailer before in their life! 90% who pass the 1ST time have never backed a small pickup & trailer before in their life! 10/21/2016 Video of the first female to pass the new class A CDL Pre Trip test in Texas beats 25 men!!! Haven't taken any of the 4 written TXDPS CDL tests to get your CLP permit yet? Or only taken a few tests? Struggling with passing a test the 1st try??? Want to pass the written tests NOW the very first time?NO PROBLEM!!! We have all of the REAL questions and answers to the Texas CDL written tests on this website! 2) A new 2017 M2-106 Freightliner with a 6-speed synchronized manual transmission. 3) A new 2017 28' Hyundai pup trailer with air ride suspension. 4) Valuable information needed to pass the road course. 5) Practice driving with our instructor before your road test. We make it easy to pass the written & road tests . . . 100% Pass Rate, both Men & Women! WE MAKE IT EASY TO PASS DRIVING TEST THE VERY FIRST TIME! We use automatic transmissions in all of our class A trucks. You will drive the vehicle with our licensed class A CDL instructor before you drive the actual CDL road test with the TXDPS examiner. We take you on the exact same TXDPS CDL road course you will be testing on. It's like deja vu when you drive it with the TXDPS examiner. We know and explain exactly what the TXDPS Examiner will expect from you to pass. We provide you with this information so there are no surprises. You will pass! WE MAKE IT EASY TO PASS THE WRITTEN TESTS INCLUDING THE ENDORSEMENTS! WARNING! Don't be fooled by other sites that advertise having the actual Texas CDL questions & answers for online testing for free. They aren't the real TXDPS questions and answers you will see on the TXDPS computer. Nothing good is free! Don't be fooled by the other sites that sell the Texas CDL test questions & answers for online practicing. The study tests you see on other sites are not the actual original real test questions you will see on the computer at your local TXDPS (Texas Department of Public Safety) driver license office. Our tests are the EXACT same tests questions & answers you will see on the computer word for word when doing your CDL tests at the TXDPS office. Again, these are the exact tests word for word at the TXDPS driver license office. We have the actual 4 Texas CDL written test questions and answers to all of the four (4) Texas CDL written exams. You will not find the actual exact test questions & answers anywhere online on any other site but ours. 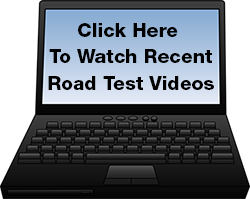 We have the real test questions for Texas Commercial Vehicle Operation (State Rules) & the Pre-Trip; these can be found nowhere online but our site. We also have all of the TXDPS endorsement tests exactly as you will see the tests on the TXDPS computer word for word to include the Haz-Mat, Tanker, Doubles/Triples, Passenger & School Bus. There is nothing like studying the real TXDPS questions & answers. It's like deja vu when you take the test at your local TXDPS Driver License Office. You will pass all of the written tests quickly at the TXDPS office with the aid of our online testing!!! OUR PROGRAM SAVES YOU TIME & MONEY: Save thousands & time by using our proven system. Most people who cannot afford to pay for an expensive CDL Truck Driver Training School find that our CDL truck rental program is a less expensive alternative way to obtain a CDL saving you thousands of dollars & time. We are not a school but offer a very inexpensive alternative program to quickly get you into a CDL license within 5 days or less in most cases. You will practice one on one with one of our licensed class A CDL instructors in one of our brand new state of the art Peterbilt 587 pulling a 28' pup trailer. You will practice on the exact same road test course that the TXDPS driver license examiner expects you to perform on. CDL schools charge $4,000 to $10,000 and can take up to 8 to 14 weeks to complete. Companies offer sponsored training and make you sign a one to two year contract to go to their CDL School, WE DON'T! These companies will pay you peanuts leaving you & your family starving. We make it easy to complete your class A CDL in 5 days or less in most cases. We make it where you don't have to pay thousands & thousands of dollars back or be locked into a long contract. Individuals ask, " How hard is it?" ... If you can back a Chevrolet, Ford or Dodge pickup truck with 16-foot utility, flatbed car hauler or boat trailer then you can back a class A truck and trailer with no problem. The truth is backing is the easiest part of the road test. 99% who pass the 1st time have never backed a tractor & trailer before in their life! 90% who pass the 1st time have never backed a small pickup & trailer before in their life! Most everyone only loses 0 to 4 points off on the backing & parallel park. It's that easy to pass! Already passed your written exams & just need to rent a CDL truck for a road test? We can help! We rent CDL trucks for the Texas Department of Public Safety road test. Our trucks are brand new state of the art 2014 - 2015 Peterbilt 587 2019 models with full automatic 10 speed Ultrashift We also just acquired new 2019 M2-106 Freightliner with Allison automatic transmissions. These automatic transmission trucks pull a 28' pup trailer. These trucks have only a brake & accelerator pedal. To put the truck into the drive gear you just simply touch the digital screen on the dash where the "D" is & the transmission goes into gear. The transmission will automatically shift the transmission up & down shift for you. To put it into reverse just touch the digital screen where the "R" is and it goes into reverse. We have 18-year-old girls that do road tests every month. These are very easy trucks to drive; just like driving a Chevy, Dodge or Ford pickup truck. CDL Test Truck of Dallas, TX is one of the best places to get your commercial driver's license in the entire state of Texas. CDL Test Truck of Dallas, TX is located in the Dallas & Fort Worth, Texas area and has been in business since 1998. CDL Test Truck of Rowlett, TX has been making it very easy for their clients to be able to pass the commercial driver's license exam for years. CDL Test Truck of Rowlett, TX has a 100% pass rating with their clients taking the CDL exam, with 99% passing their road test on the very first try. CDL Test Truck of Rowlett is proud to have a solid 100% pass rating for all of their students. Start making the big bucks in the big trucks today! You can Email us today to begin your exciting career in truck driving. Get your Texas CDL with CDL Test Truck! CDL Test Truck in Dallas, TX provides CDL trucks for people to use for cdl truck rental, cdl truck rentals, wanting to get a class A, class B, commercial driver license, CDL, CDL Rental Texas, cdl rental tx., CDL Connection, CDL Connection Dallas, CDL Connection Dallas, TX, with CDL Help, cdlhelp, rent me first, we do CDL Rental in Weatherford, TX serving all of Texas to include Abilene, Addison, Allen, Amarillo, Arlington, Beaumont, Bonham, Brownsville, Burleson, Carrollton, Celina, Cleburne, College Station, Corpus Christi, Crowley, Dallas, Deep East Texas, Del Rio, Denton, Eagle Pass, East Texas, Edinburg, El Paso, Ennis, Farmersville, Flower Mound, Forney, Fort Hood, Fort Worth, Frisco, Gainesville, Galveston, Garland, Grand Prarie, Grapevine, Greenville, Houston, Hurst, Irving, Keller, Killeen, Laredo, Lewisville, Little Elm, Lubbock, Mansfield, McAllen, McKinney, Midland, Midlothian, Mission, Odessa, Pampa. Plano, Port Arthur, Princeton, Prosper, Red Oak, Redoak, Rockwall, Rowlett, San Angelo, San Antonio, San Marcos, South Texas, Southwest Texas, Sweetwater, Temple, Texarkana, Texoma, Tyler, Victoria, Vidor, Waco, Waxahachie, Weatherford, West Texas, Wichita Falls, Weslaco, Wylie, Texas, TX. We are not a cdl school but offer cdl training as well as truck rental and truck rentals including trailer rental and trailer rentals. CDL test training include CDL test questions and answers which are the Texas CDL practice test questions with using the Texas CDL handbook and cdl test training with our Texas CDL truck. CDL assistance has CDL truck rental to test at the Texas Department of Public Safety, TXDPS, and provides the Texas Commercial Motor Vehicle Handbook, to truck driving schools, cdl driving school, rendel cdl services, to get a Texas CDL permit. Almeida CDL assistance with Texas CDL handbook Spanish is available known as Texas CDL Handbook Spanish. CDL questions & answers with cdl connection Dallas, The only CDL test truck you should use, cdl connection, CDL test truck in Allen is the absolute best CDL truck driving school in the great state of Texas. CDL Test Truck in Allen, TX has the actual Texas CDL written test to include General Knowledge test, Air Brake test, Pre-trip test, Combination test, State Rules test, Hazmat test, Tanker test, Doubles and Triples test. CDL test truck is not a company sponsored CDL program. CDL Test Truck in Allen makes it easy to pass cdl written tests, rent cdl truck, cdl truck for rent and pass cdl road test. CDL Test Truck offers help passing cdl written tests. *We are not a school. We provide helpful information & sell access to study materials to help you pass the TXDPS written tests. 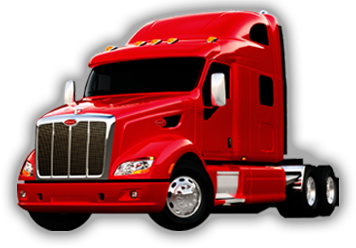 *We rent class A & B CDL automatic & standard trucks. We only offer advise to help you with pass the TXDPS written tests. *We rent class B Passenger Bus. We rent School Bus. 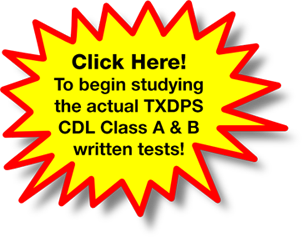 We only offer advise to help you with pass the TXDPS written tests. *The truck rental prices do not include access to the online testing for the questions & answers to the (4) four main written tests nor any endorsements. You may purchase access to our online written tests & endorsement tests separately or in a package. *THERE ARE NO REFUNDS ON TRUCK RENTAL DEPOSITS. *THERE ARE NO REFUNDS ON ACCESS TO THE ONLINE TESTS. PRICES CAN CHANGE WITHOUT NOTICE. NEW PRICING MAY NOT BE UPDATED ON THE SITE. Call for pricing.